It marked a 180-degree change in policy, said Dr. Gary Franklin, a UW professor with appointments in neurology and occupational and environmental health sciences. Before that year, opioids were reserved for treating cancer pain and to ease suffering at the end of life. Doctors were wary of prescribing opioids for other conditions. But prompted by the new rules and drug companies' marketing campaigns, doctors began prescribing opioids for a wider span of conditions, to more patients, and at higher doses. In a 2005 report, Franklin and co-authors identified 32 deaths from 1995 to 2002 that definitely or probably stemmed from opioid overdoses, and 12 additional deaths in which the link was possible. The scientists knew they would be challenged, so they carefully defined what constituted an unintentional death related to prescribed opioids. Most of those who died were men, in the prime of life (average age 40) and suffering common conditions such as low back pain and carpal tunnel syndrome. Only two had suffered catastrophic events: a spinal cord injury and a crush injury. The paper was the first in a peer-reviewed journal to show an association between the relaxation of opioid-prescription regulations and a rise in attributable relevant deaths. It was one of the first to detect the beginning of an epidemic: Prescription-drug overdoses would soon claim more than 100,000 lives. The news was not welcomed by the pain medicine community. In an article published Sept. 30, Franklin discusses the reasons behind the epidemic, traces its trajectory and proposes steps that should be taken to bring it to an end. The article, which was requested by and has been endorsed as an official position paper of the American Academy of Neurology, appeared in the journal Neurology. The push to expand opioids' use came from pain medicine specialists, patient-advocacy groups and drug manufacturers. “Leaders in the field of pain medicine, people who had primarily taken care of people with cancer, began to think, ‘If we can comfort people at the end of life with cancer by prescribing opioids, why wouldn’t we comfort people with chronic pain from other causes with opioids as well?’ ” Franklin recounted. “The problem was that they had no evidence that opioids were effective for the treatment of chronic non-cancer pain – and no evidence they were safe." Clinical trials showed that opioids offered pain relief in the short term but the trials lasted only five weeks, on average, and none demonstrated that pain relief correlated with substantially improved physical function. Nevertheless, pain-medicine physicians and patient advocates lobbied state legislatures to adopt “model pain legislation” that nearly removed limits to the volume of opioids that could be prescribed. “You could be handing out bags of opioids under these laws, and there was nothing your state disciplinary boards could do about it,” Franklin said. Many medical societies went along. The Joint Commission on Accreditation of Healthcare Organization, which sets care standards for U.S. hospitals and clinics, designated pain as the “fifth vital sign” – along with temperature, heart rate, respiratory rate and blood pressure. “You almost couldn’t discharge someone from the ER without giving them an opioid,” Franklin said. Sales of prescription drugs took off, and so, too, did opioid-related deaths. “We’ve seen more than 100,000 deaths between 1999 and 2010, almost twice as many as U.S. casualties in the Vietnam War. In addition, we have millions of people who have become dependent or addicted, who will never be off opioids, and who will never be helped by these drugs,” Franklin said. The rise in overdose deaths largely stems from doctors prescribing higher and higher doses, particularly of long-acting opioids, to patients needing more drugs to control their pain or who have actually become more sensitive to pain because of the drugs – a phenomenon called opioid-induced hyperalgesia. Yet pain medicine doctors have typically treated drug tolerance by increasing dosage, Franklin said. It is likely, however, that a patient’s tolerance to the pain relief afforded by opioids develops faster than tolerance to the depressive respiratory effects, he said. People who may be able to function on high doses of opioids during the day may die in their sleep, particularly if they use other drugs such as anti-anxiety and sleeping pills or alcohol, which amplify the sedative effects. What needs to be done, Franklin said, is first to get doctors to avoid using opioids to treat patients' chronic non-cancer pain and instead use non-narcotic pain medicines such as non-steroidal anti-inflammatory drugs (e.g., ibuprofen), graded exercise and cognitive behavioral therapy. 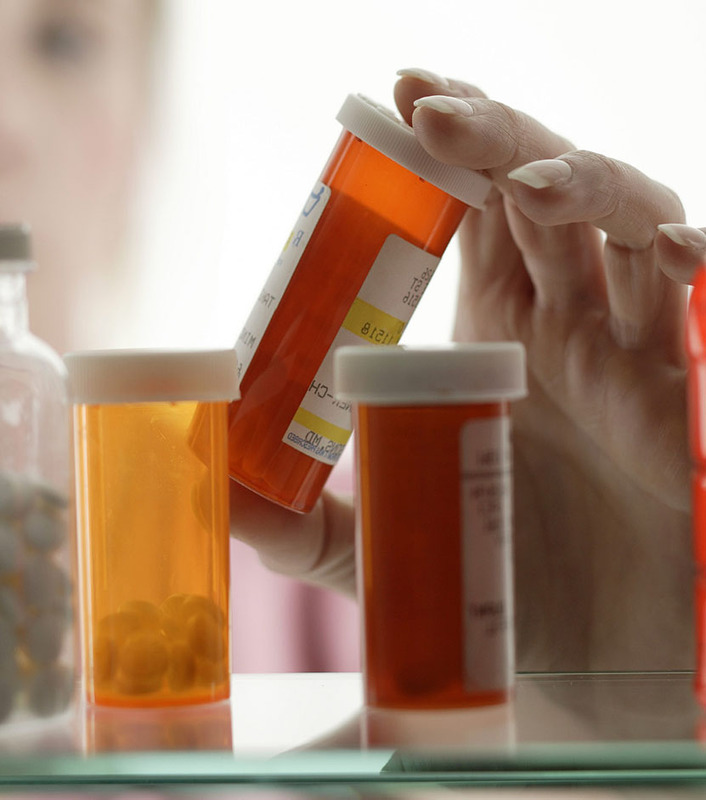 If physicians must prescribe opioids, they should be certain that the therapy is working, improving not only the patient’s pain symptoms but also their physical functioning to make sure they are actually helping their patients, Franklin said. And if patients do not substantially improve by the time they reach daily a dose that’s equivalent to 80-120 milligrams of morphine a day, they should refer the patient to a specialist. Set out firm ground rules by requiring patients to enter into an opioid-treatment agreement. Use random drug screening to detect drug misuse. Avoid prescriibing sedative-hypnotics and benzodiazepines simultaneously. Track daily doses and seek help when daily morphine equivalent doses reaches 80-120 mg and pain and function has not improved substantially. Use prescription drug monitoring programs to raise physicians' awareness of all sources a patient might have for obtaining controlled substances.